Odor Description: Floral, Orris, Fruity, Berry, Woody. Iris Flower; this is a fresh, clean modern interpretation of the Iris flowers' sutbtle essence. IFF has temporarily restricted its sales of Iso E Super, so we have limited stock of this product right now. Odor Description: Woody, Floral, Ambergris. A soft orchid,can use a lot as base/Sweet, balsamic. Mild piney balsamic camphoraceous of pine, spruce needles. Sweet, and creamy vanillic character reminiscent of white chocolate, cream soda and with a soft apricot feeling. Sweet, spice, cooling, with a wintergreen nuance. Fruity, Pear like, Pineapple, Green, Fresh, Diffusive. Odor Description: Flowery, Orris, Woody, Fruity. Has a fine violet note, often used in flowery, woody, spicy and oriental accords. Odor Description: Green, Floral, Fresh. Odor Description: Floral, Jasmine, Fruity. This is a beautiful modern Jasmine blend. Odor Description: Floral, Green, Jasmine, Warm. Odor Description: Floral, Jasmine, Lactonic, Mushroom. Odor Description: Woody, Sandalwood, Creamy, Rose, Powerful. Odor Description: Woody, Amber, Sandalwood. Odor Description: Woody, Ambery, Tobacco, Rich, Warm. Odor Description: Woody, Balsamic, Pine. Odor Description: Woody, Amber, Dry. Labienoxime 10%/IPM-TEC surprises with its natural, fresh, cassis, sage flower character. Odor Description: Very powerful, natural, diffusive, herbaceous with a hint of cocoa, blueberry, bergamot, clary sage, and lavender overtones. A light, fresh and elegant leather. Odor Description: Citrus, Lemon, Intense. Odor Description: Gourmand, Caramel, Liquorice, Balsamic. Price Increase (November 2018) - Givaudan has doubled the price of this material since our last purchase. Fresh slightly green lily watery. Odor Description: Citrus, Lime, Green, Aromatic, Fresh. Odor Description: Herbal, Camphor, Woody, Lime, Fresh. A good general builder - floral - appears in all types of compositions from floral to citrus. Odor Description: Herbal, Pine, Floral, Fresh. Sweet floral fruity odor, bergamot, pear. Odor Description: Floral, Green, Fresh, Deep, Lily-of-the-Valley. The creation of Lindenblossom Givco 151 PMF was inspired by an exclusive Givaudan aromachemical and the perfume that surrounds blooming linden trees in early summer. Lisylang brings power and body to modern white exotic flowers bouquets with its delicate, floral water topnotes and its rich diffusive drydown. Odour: Very pure and clean white flowers bouquets with jasmine, Monöi, Frangipani undertones. Spicy Lily and gourmand Coco milk aspects. A soft delicate floral lily, cyclamen note, reminiscent of muguet. Dry floral reminiscent of magnolia and geranium oil; grapefruity narcissus magnolia. Powerful, warm, fruity,caramel sweet oder, fruity in dilution. A fruity apple character with aspects of cider and sweet pineapple. A good fresh, marine, ozonic base. Earthy mushroom green oily vegetable fungal. Odor Description: Floral, Fresh, Soft, Clean. This Natural Melon fragrance is beautifully delicate high ozonic fruit notes. Odor Description: Green, Melon, Cucumber, Powerful. Fresh, mint, sweet; taste: cold, mint, woody. Please note that the name of this product has been changed, but it is the same product we have been selling for years. Musty, fruity and dry floral odor reminiscent of concord grapes. Bitter nutty, or cherry pit flavored, chemical, lightly floral with nuances of wintergreen. This item has a solid crystalline form. Powerful fruity balsamic, dilution - strawberry. Caramelic, maple, sweet, burnt, coffee, bready nuances. Odor Description: Spicy, Carnation, Vanilla, Sweet. Odor Description: Fruity, Coconut Milk, Lactonic, Creamy. Odor Description: Fresh, Citrus, Grapefruit Peel. Sweet floral honey spice waxy almond. Dilute to 4%, a very potent floralizer, use care. Taste description: Musty and rummy, with nutty and cereal notes - caramel and fruity undernotes. A floral, green and slightly powdery scent. 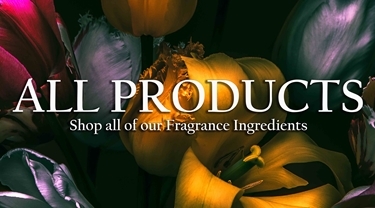 Low temperature extraction on natural nerolidol in order to obtain the most genuine floral odour. Odour: delicate fresh, floral, anisic note, less herbal than the traditional mimosa absolute. This is a beautiful modern Muguet/Lily of the Valley blend. Odor Description: Floral, Aldehydic, Fresh.